Adverse Possession—Defendant cannot take a plea of adverse possession against the co-owners in the absence of specific relief. By phlaw| 2019-03-29T19:06:17+00:00 March 29th, 2019|Limitation Act|Comments Off on Adverse Possession—Defendant cannot take a plea of adverse possession against the co-owners in the absence of specific relief. Limitation Act, 1963, S.5–Condonation of Delay—Delay of 1100 days in filing appeal–Delay not condoned as fact of case do not reflect exercise of good faith. February 28th, 2019 | Comments Off on Limitation Act, 1963, S.5–Condonation of Delay—Delay of 1100 days in filing appeal–Delay not condoned as fact of case do not reflect exercise of good faith. Limitation—Exclusion of Time—Until and unless there is the decision of the Court regarding la ck of jurisdiction, period spent cannot be excluded for the purpose of limitation. May 21st, 2018 | Comments Off on Limitation—Exclusion of Time—Until and unless there is the decision of the Court regarding la ck of jurisdiction, period spent cannot be excluded for the purpose of limitation. Limitation Act. 1963, -Acknowledgment of the payment should be made in the handwriting or in the writing signed by the person making payment. March 2nd, 2018 | Comments Off on Limitation Act. 1963, -Acknowledgment of the payment should be made in the handwriting or in the writing signed by the person making payment. 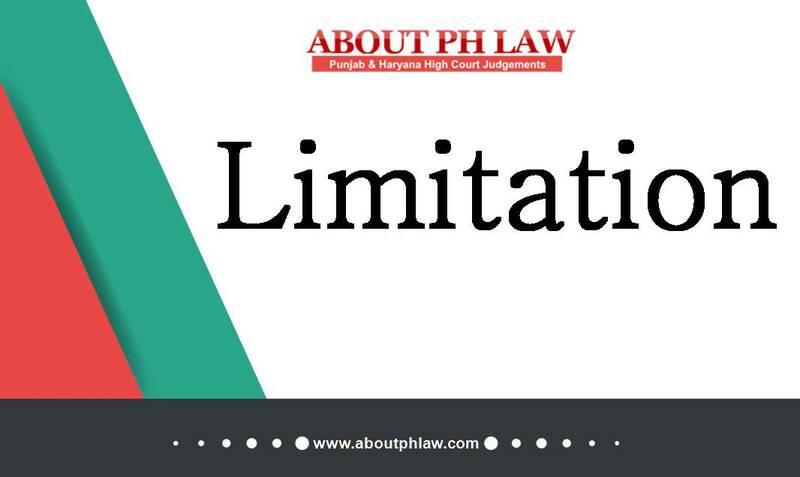 Limitation—Period of adjudication of an application to file suit as indigent person is to be excluded for computing the period of limitation prescribed for the suit. February 18th, 2018 | Comments Off on Limitation—Period of adjudication of an application to file suit as indigent person is to be excluded for computing the period of limitation prescribed for the suit.